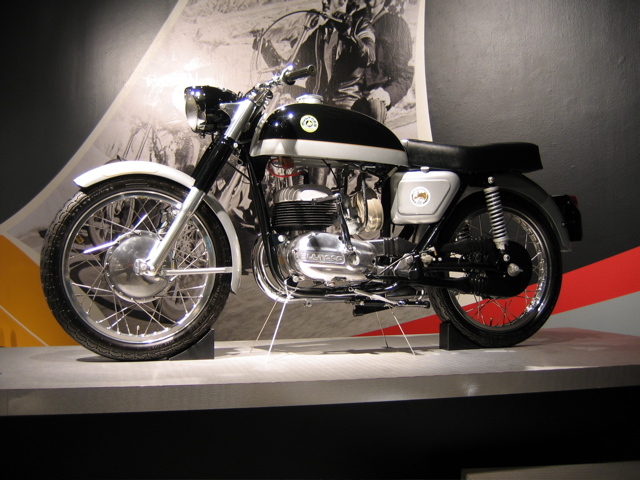 For Sale - 1969 Bultaco Metralla Motorcycle - Paul BrodieFlashback Fabrications Ltd. 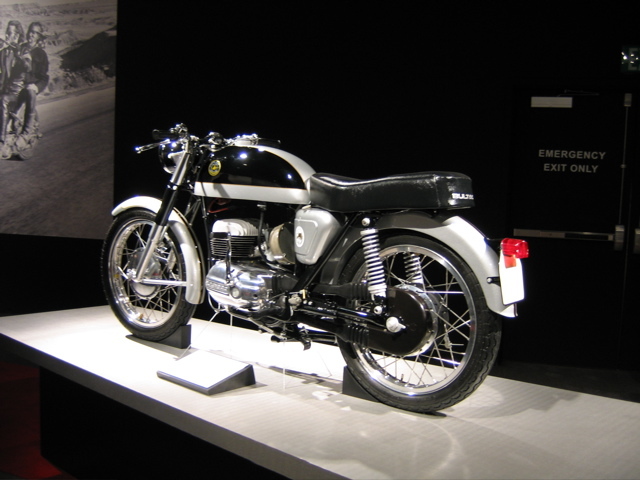 Shown here in the Guggenheim Art of the Motorcycle exhibit, Memphis, TN. Since then it has been stored in my heated shop. It has less than a dozen miles on a completely rebuilt motor. No expense was spared during the restoration process. The restoration process was a collaboration between myself and a friend, George Dockray. To tell the whole story we must include Wayne Ingram, who supplied three Metrallas, and many parts. Wayne had been collecting Metralla parts for over twenty years. Ian Watson set it up between myself and Wayne. I agreed to accept everything and in return, give Wayne back a completely restored Metralla. I looked at the Metralla. It was a single cylinder 2 stroke, after all. How hard could that be to restore? How long could it take? And how much could it cost? Well, much more than I ever anticipated! Parts came from Australia, and they (and the shipping) were expensive. And it just took a LOT longer than we ever thought it would. George did the sourcing, motors, and electrical. I did wheels, suspension, frames, and paint. George received the 3rd Metralla for his efforts. They came out great. So now it is time for this fine machine to go to a new home. Only $12,000 (US).